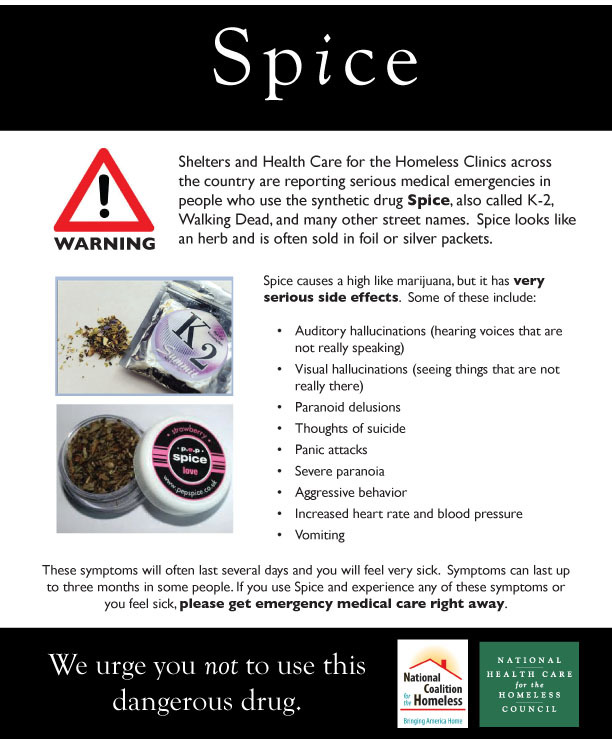 The National Coalition for the Homeless and the National Health Care for the Homeless Council has issued a warning for the shelters to be aware of a dangerous new drug that is sending homeless people to the hospital. Two weeks ago, hundreds went to the hospital in Austin and Dallas Texas after using these synthetic drugs. Please distribute this in the shelters and social service providers. We have included a pdf version that you can print out and distribute.